How well do you know your social audience? I mean really know them – not just that they come from Facebook, but how they interact and engage with your content? Well, after we launch our brand new version of Social View for the Chartbeat dashboard next week, you’ll know them a whole lot better. 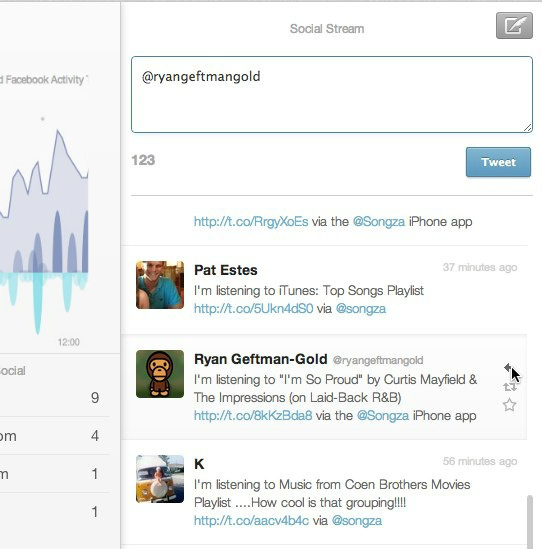 Alongside Social Concurrents, you’ll see a completely redesigned and pivotable Social Timeline. But we’ve said far too much already. Check back next week for the whole shebang! How transparent is your data? Probably not enough. Why the hell would anyone want to share their site data? At first, it seems only a lunatic would willingly share their precious treasure trove of data. I mean, it’s scary: it allows your readers/visitors to judge you and your competitors to use it against you. But it’s also the only real way to be successful in the real-time world. Internally, democratization of data autonomizes your teams to make smarter collective decisions the second they need to be made. We talk about that a lot. It’s what the most successful teams do best. And sharing it externally drives new layers of content discovery and engagement opportunities for your readers. Your readers want to know what other people are reading. That’s why “Popular Stories” or “What’s Trending” collections that you create are such a hit. But they also want to know what’s interesting and niche – the cool factor of finding something before anyone else does. Real-time transparency, sharing your site and content information with not just your whole team but your readers, opens up this whole new world of discovery. Because not all articles get as much traffic and engagement as the top story. And at times, it’s not the headlining story that people want to consume and share. That sense of discovering what is interesting before that mass tipping point is awesome for readers – particularly the socially savvy ones looking for something that aligns with their interests/personal brand to share on their social networks. If your readers have access to the real-time data on a site, nothing stops them from noticing an upward trend or clever headline and jumping on board and reading it, and sharing it. To us, real-time data has always been about helping content creators adapt to the unexpected and unknown, but with readers doing the same, the possibilities become endless. The way your brand and content are spread in new ways grows exponentially. Soon, we could see real-time transparency as the expectation and not the exception, as more and more readers embrace digestible data in their everyday life and become accustomed to seeing insights before making any decisions – including reading an article or visiting a page.